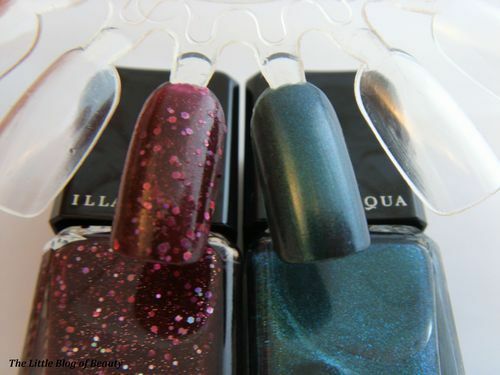 I have only really become aware of Illamasqua since the end of last year but they are rapidly becoming one of my favourite nail varnish brands. 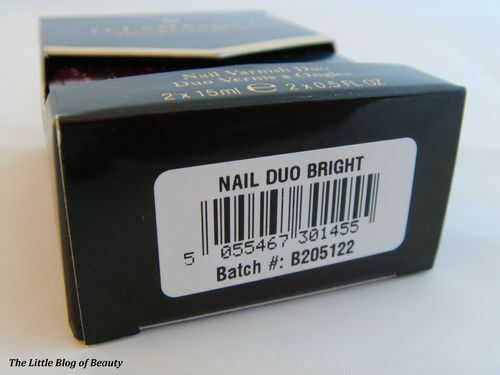 The newest addition to my collection is a nail varnish duo which includes the shades Glitterati* and Veridian*. Glitterati is described as a raspberry glitter and Veridian a peacock green. 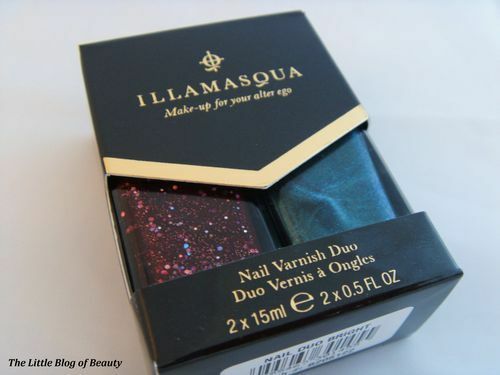 This is a limited edition set and having checked the Illamasqua website I have discovered that this has just been discontinued (it was there when I checked a few days ago but it appears this set was intended for the festive season). 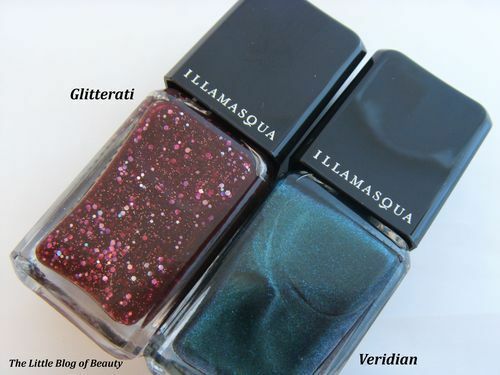 This means that Glitterati is no longer available, but Veridian is still available as a single shade on its own. Both shades contain those tiny flecks of glitter that make them a shimmer but Glitterati also contains large pieces of hollographic glitter. They are both dark winter type shades which would be great for over the festive period. I’m not personally a fan of green and blue nail varnishes (I’m much more a shades of red/pink/purple kind of girl) but Veridian really is an amazing shade if you like dark, striking more unusual colours in your nail varnish. 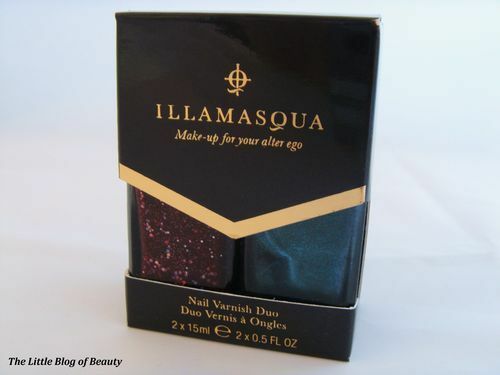 Illamasqua nail varnishes are easy to apply, quick drying and come in some amazing shades. Although no nail varnish lasts very long on me (as soon as I get the tiniest chip I start to pick it off, very naughty I know!) I find these pretty hardwearing and if I did leave it alone they would last a good few days on me. The duo’s are £24 and although my duo is no longer available you can still get one which contains Throb (red) and Spartan (gold glitter). However this is also limited edition and was intended for the festive season so this could be discontinued at any time. You can find the Illamasqua website here.